TBH, what I've mostly been doing is watching Archer and Paw Patrol on Netflix. But I do get out sometimes. The Red Barn at the National Theatre appears completely sold out until the end of its run, and deservedly so. Based on a non-Maigret novel by Georges Simenon; tense, psychological and snowy; brilliantly staged; has the love interest from The Night Manager in it. I can't say too much without spoilers, but one scene features those '60s egg-shaped hanging chairs and everyone in my party coveted them greatly. Too early for Christmas music? Not when it's Kacey Musgraves with A Very Kacey Christmas. Elsewhere, it's the 25th anniversary of REM's Out Of Time and I have about four hours of Radio 2 on the subject to catch up with. 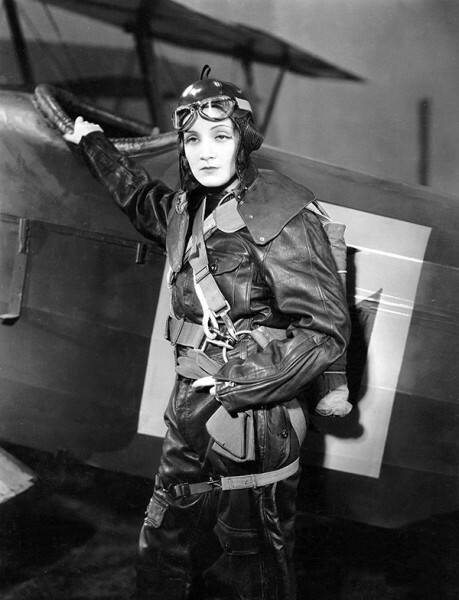 The Petrie Museum's Archaeology and Espionage season is coming to an end, but I caught their screening of Dishonoured, a 1931 movie in which Marlene Dietrich spies for Austria but finds herself falling for her opposite number, handsome Russian aviator-spy Colonel Kranau. It's a surprisingly good spy flick, with bonuses of a cat, some biplane action, cat in biplane, and an actor who rejoices in the name of Gustav von Seyffertitz. See the picture below for a small clue as to why I liked it so much. Archeology and Espionage? Interesting theme for a film season. I've not read a lot of Simenon but do own one of his non-Maigret books. Hmm, I might investigate these R.E.M programmes on Radio 2 of which you speak! Any idea where they are? iPlayer radio is so hard to search unless you know the exact name of a programme! Ye gods and little fishes, Marlene Dietrich had such stunning looks - more intense than even Lauren Bacall. There was quite a lot of giggling! But it was surprisingly moving in parts, too. And yes! I'd never taken any notice of Marlene before, but crikey!